These pictures may well show the incorrect well wagon to go with the drums. 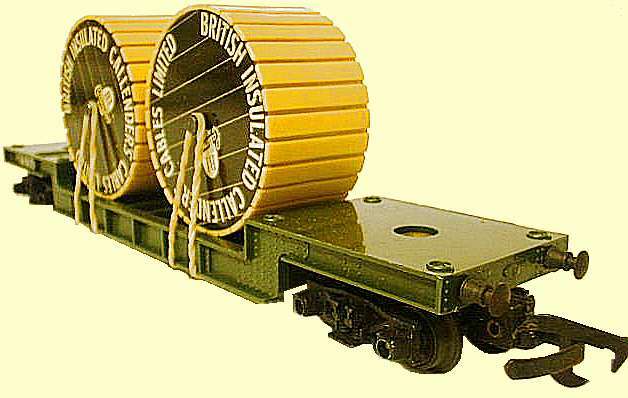 This well wagon has buffers and the early couplings and it would seem that this model was not sold with Cable Drums. 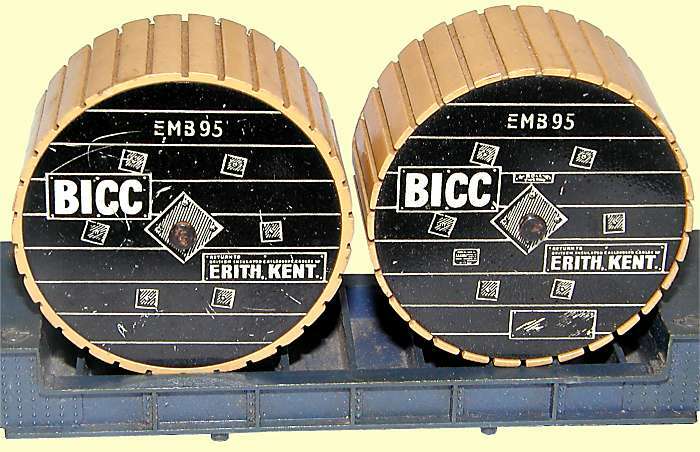 The two different designs were produced. 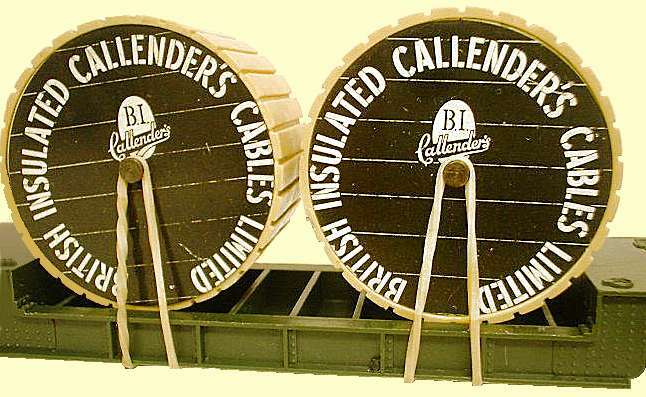 BICC and Callender's Cables.